A dry day but the 50mph winds were a nuisance for most of the day with the majority of the field opting to fish feeder rods. On the Square Symon Willan won comfortably from hot peg 6, fishing the feeder into the calm water at the far end of the pond, catching 16 Carp for 34lbs. Steve Royle finished 2nd with 4 small carp for 8lbs 4oz fishing the pole into the calmer water, again at the far end of the pond. Bill Sawyers managed one small carp on end peg 10 to finish 3rd…. 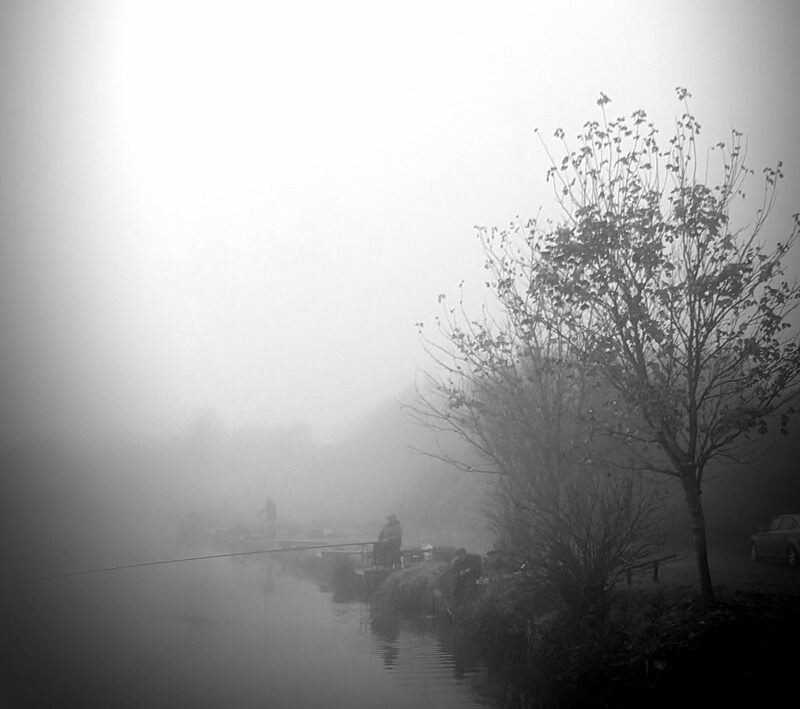 With the remaining 3 anglers not getting a single bite between them, most likely due to the strong cold wind and the fish favouring the calmer water. Strangely enough there was a severe lack of silver fish, Steve Royle the only angler to catch a roach. Usually renowned for its roach and bream, they just didn’t want to know today. 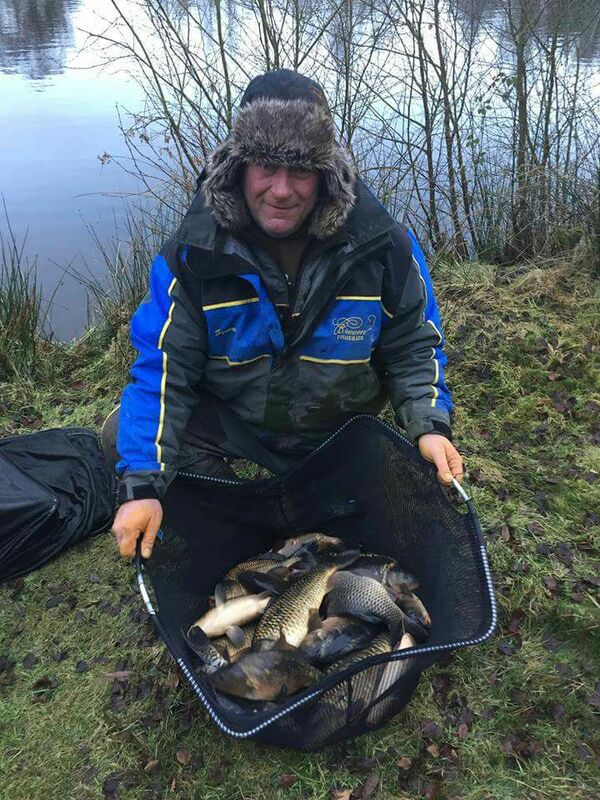 On Queensberry Water Rob Swan was one of the very few to fish the pole, fishing the cage feeder for 4hrs catching small silvers, he persisted to feed the pole line all match until the wind eased, a good move as 5 decent bream late on helped him win the section with 16lbs 4oz. Ian Whitson was 2nd with a decent net of silvers for 11lbs 14oz, all caught on maggot feeder.